As a continual student of church growth, I am always looking for fresh ideas that will help me reach people. I consistently return to my friend Charles Arn's work. 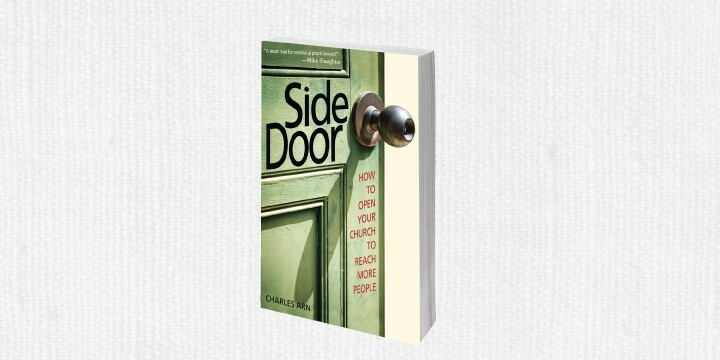 His latest book, Side Door, has sparked some new thoughts for me and will do the same for anyone who is committed to reaching more people for Jesus. CHARLES ARN is a leading expert and national voice in the conversation on congregational outreach, health, and growth. He is founder of HeartbeatMinistries.net and is Professor of Outreach and Ministry at Wesley Seminary. In Becoming a Ripple Church: Why and How to Plant New Congregations, Phil Stevenson walks the pastor and church leader step-by-step through the process of parenting a new church. Learn what makes a church healthy from Bob Whitesel.